Bio: Penny Blake worked for Good Shepherd for 5 years as a Registered Nurse in Stroke/Cardiac care before returning to school to pursue a Master’s Degree. While pursuing her master’s degree Penny taught Nursing at the University of Texas’ Longview campus. 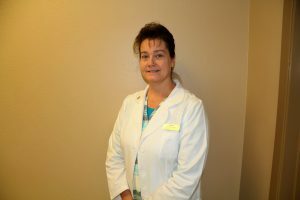 Penny is currently certified with the American Nurse’s Credentialing Center as a Family Nurse Practitioner. Originally from Louisiana, Penny has lived in Texas for 22 years with 16 years of those years being in the Longview area. Penny is married with 3 children. One of Penny’s goals as a pediatric provider is providing greater access to patient-centered medical care.